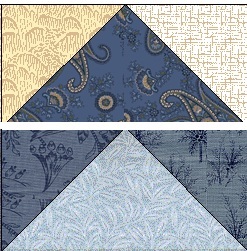 Cutting Instructions: For a pleasing scrappy look, be sure to use a variety of fabrics. 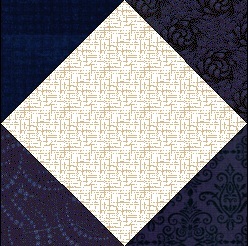 Light Blue.........................(4) 2" x 3 1/2"
Mediium Blue..................(4) 2" x 3 1/2"
Repeat the process above to make FG using (1) 2" x 3 1/2"
Light Blue and (2) 2" Medium Blue squares. Make the following block by placing (1) 2" Medium Blue square on one corner of (1) 3 1/2" Background square, right sides together. Sew on line. Trim to 1/4" seam allowance. Flip and press to Blue. Square up to 3 1/2" if needed. 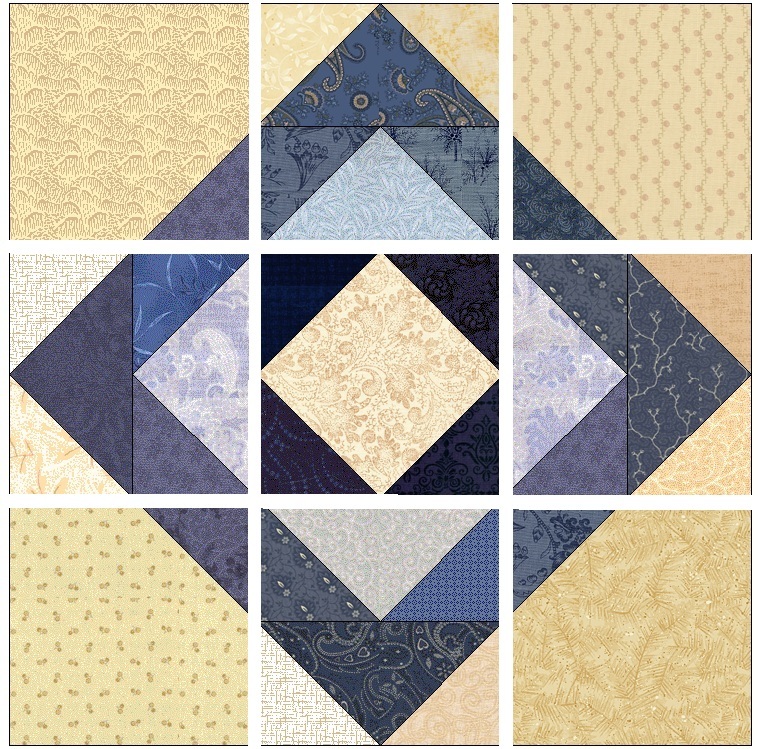 Using (1) 3 1/2" Background square and (4) 2" Dark Blue squares, repeat above process, but this time put the 2" in each corner of your 3 1/2" square. Square up to 3 1/2" if needed. 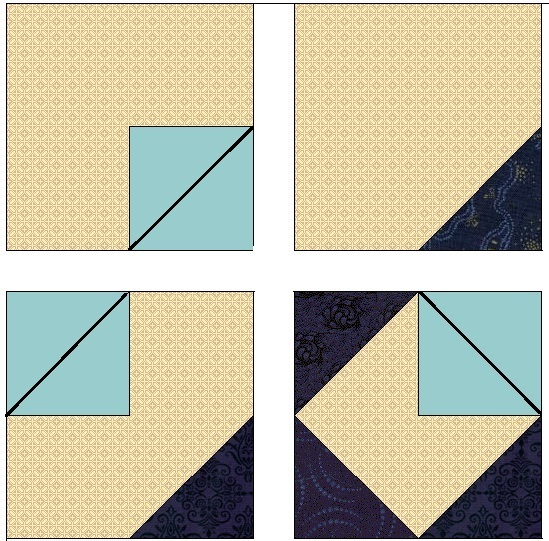 Assemble your block as shown: HINT: If you're having trouble matching your diagonal seams, try basting first. Check back March 1st for next block.